and what about MDS repository for customization ? Do we have to wait for a 12c version or can we use the 11g ? MDS is available in 11g, you can use MDS customization already in 11g version. Or you mean using MDS customization with ADF 12c, then you would need to wait for MDS 12c repository I suppose. We have migrate our application to 12c. We didn't get any error in migration but when we run our migrated application in 12c we got an unexpected error and unable to run application. I think is too early to migrate your production system to 12c, I noticed some ADF runtime issues, as well as JDEV IDE issues. I would wait for the next update. do You recommend to build new applications with 12c, or still with 11g and migrate later when 12c is more stable? If this will be new application, yes I would go with 12c. By the time you will move to production, probably there will be already next 12c update and then it will be much easier to move. I think you will need more testing in the future, when moving from 11g to 12c, instead of moving from current 12c release to the next update. but be careful if your customer is using other FMW 11g products like WebCenter Portal 11g or BPM 11g, because you have to stay with 11g stack. FMW 12c will arrive later. Exactly, why I would recommend to stick with 11g for current production systems. And start with 12c only for new ADF apps. I've got an 11.1.2.3 application in development with a strange problem that I narrowed to be a possible bug in ADF Faces. So I decided to branch it and try a migration to 12c. Migration went as smoothly as yours did, and the application worked fine and the bug was GONE. However, there were some strange problems with the JDBC connection to my database - for instance, it started to give ORA-01017 (invalid password) problems - despite the fact that I could use the database browser with it. I deleted the connection and re-created it - this fixed the problems. Thanks for update John. I wonder if this was Data Source problem, may be AM is not using Data Source defined in WebLogic. 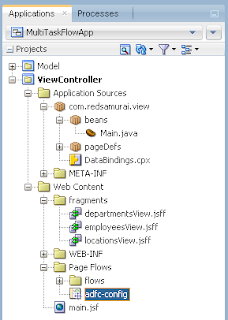 We planned to develop an application using oracle fusion middleware(ADF, SOA, Webcenter). Which version is ideal for me? I moved my application from 11g to 12c and noticed that the bindings were deleted in the page definition. Is there a specific step to retain the bindings of the page while doing the migration? Nope, I didnt had this problem. I want to begin building my first Application , Please Advise me which one the best of Jdeveloper Release to Work On it ? JDeveloper 11.1.1.7 is the most stable. I just converted a huge application and it worked well (11.1.1.7 to 12cR3). Except one minor thing - the Static Lists (VOs) all fail to find the values in the list. I have a static list (YorN) - Yes or No - defined as code and description. This is used as an LOV in another view. 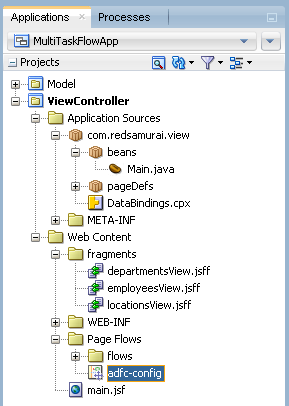 When the view is displayed - I get empty boxes and errors saying Y cannot be found in the list. Any suggestions? I am also getting the same issue. Any suggestion? Must be something specific to your project, this is not general issue. 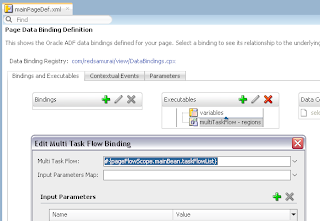 Is it possible to migrate from ADF 10.1.3 directly to ADF 12.2.1 ? I didnt try, but I doubt. This will involve manual work, at least in UI layer. Is it possible to migrate from ADF 11.1.1.6 directly to ADF 12.2.1 ?